It’s my first primary song! 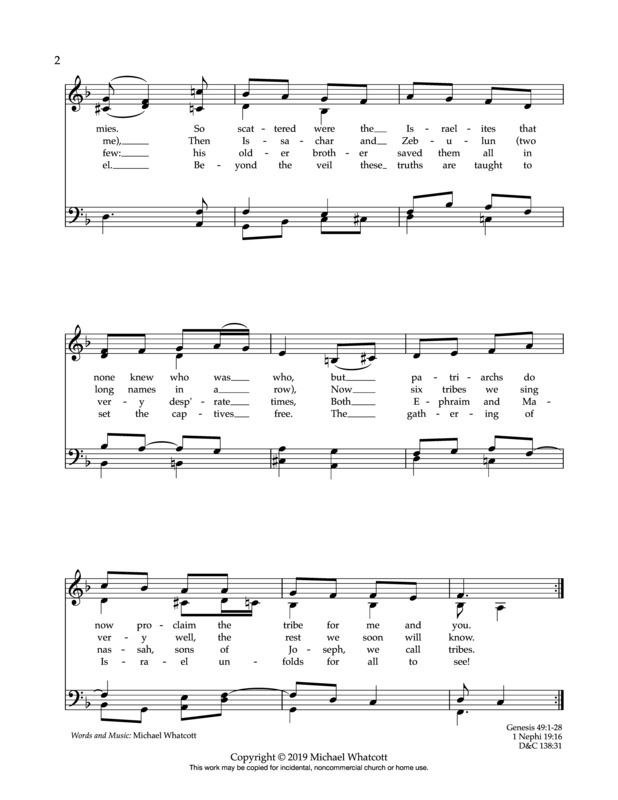 The music is a reworking of (Hymn #4). Syncopated ties in inner voices create a catchy back-beat against the plodding bassline. 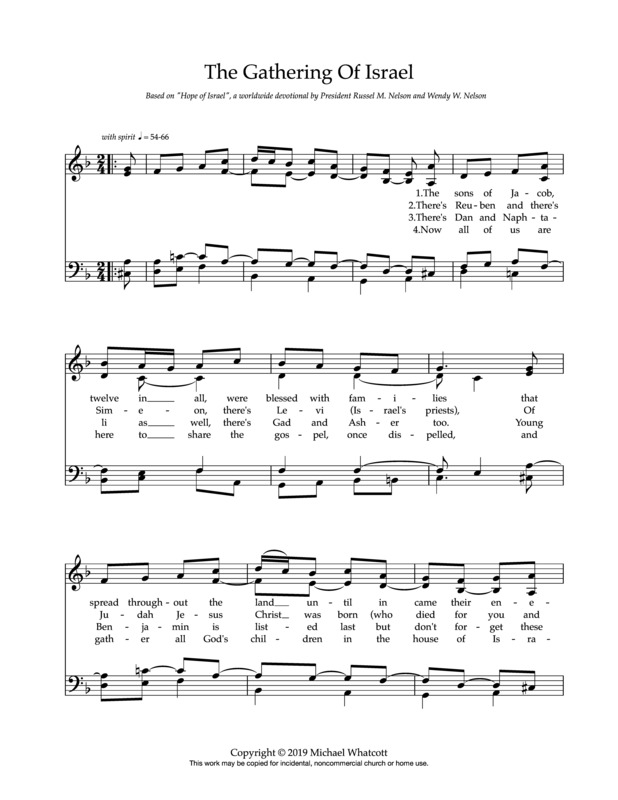 Inspired by President Nelson’s recent devotional with the youth, the lyrics aim to teach kids about the names of the tribes of Israel and their part in the literal gathering of the house of Israel.